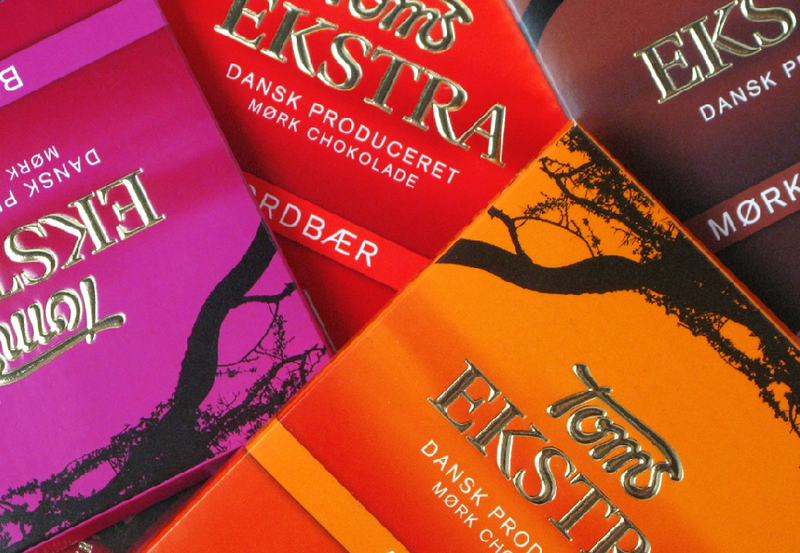 Aiming for a big bite of the increasing mass premium segment of the Danish chocolate market, Toms challenged us for the interesting task of creating a unique and powerful packaging design for the Toms EKSTRA launch – without it cannibalising on Toms’ own Anton Berg brand. 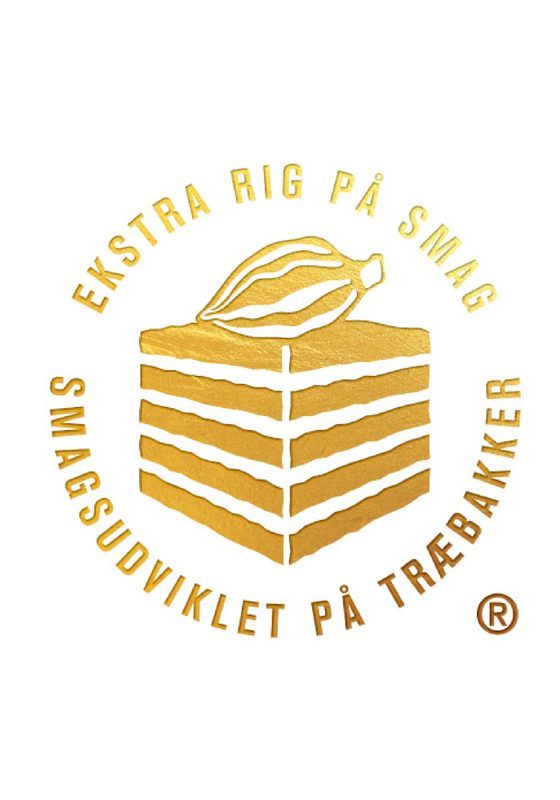 The market was highly dominated by Marabou Premium, without any major competition for years. As part of the growing cooperation with Toms, we gladly accepted the challenge. 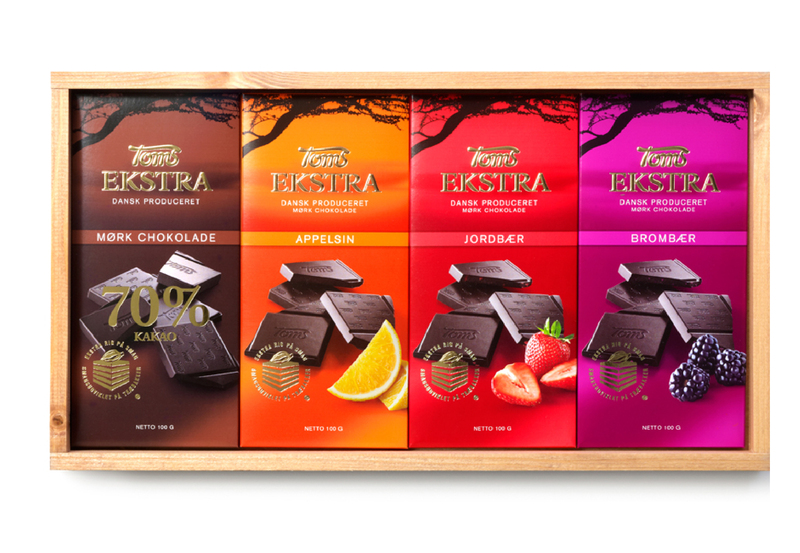 The basis of the Toms EKSTRA concept is high quality, the unique production method of tray fermentation, and exciting fresh flavors. During the creative process we came across some market findings, that almost all premium chocolate packaging where either white or chocolate brown. 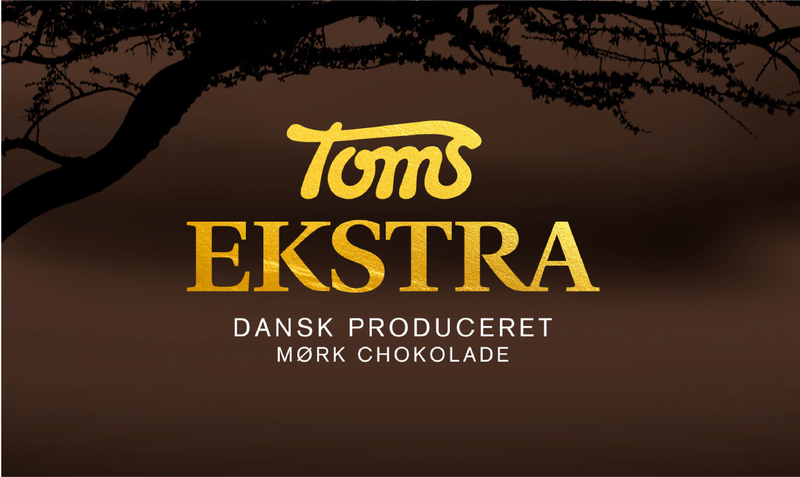 We believed this particular Toms EKSTRA concept needed something… well, extra. 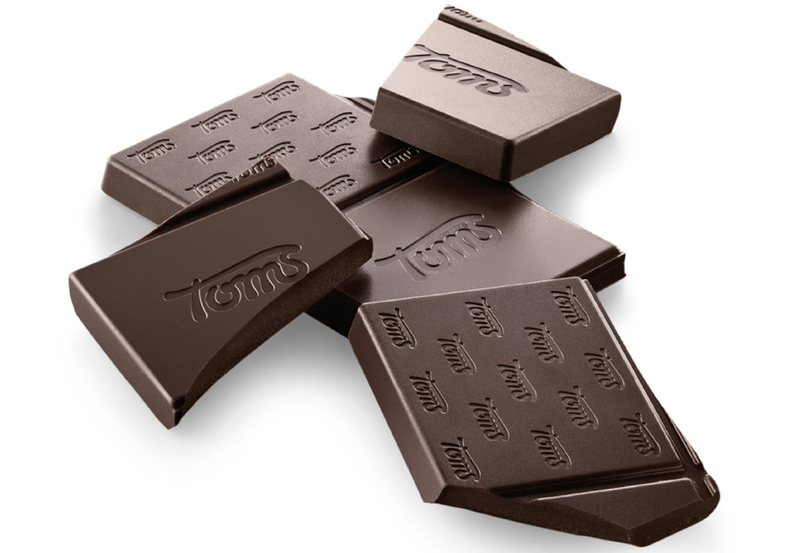 Together with Toms we created a solution that would attract the people that have not yet taken to the trend of eating dark chocolate. The colorful packaging with strong emphasis on the flavours and the references to the Ghana cacao origin has proven to be right – both trade and consumers have approved to the concept and market shares have been captured. As such the challenge was to find the right balance between the truly excellent story of the product quality and an accessible broad product appeal.We believe we found it. But you be the judge. Together with industrial designer Jonas Lundin, we have designed a new iconic bottle for Faxe Kondi. The new bottle design integrates the well-known Faxe Kondi ‘energy swoosh’ in the bottle as a Faxe Kondi signature to underline the brand identity. Earth Control experienced an increased demand for healthy snack solutions, toppings and green meals and asked us to ensure that their pack design reflected what Earth Control stands for – being the good natural ingredients that transform a meal from being ordinary to being extraordinary. The task was to empower the Yarpivo brand by developing a new design for the range that removed the gap between the perceived and actual value and quality of the brand. Enabling Yarpivo to meet national and international competition in eyesight at shelf.